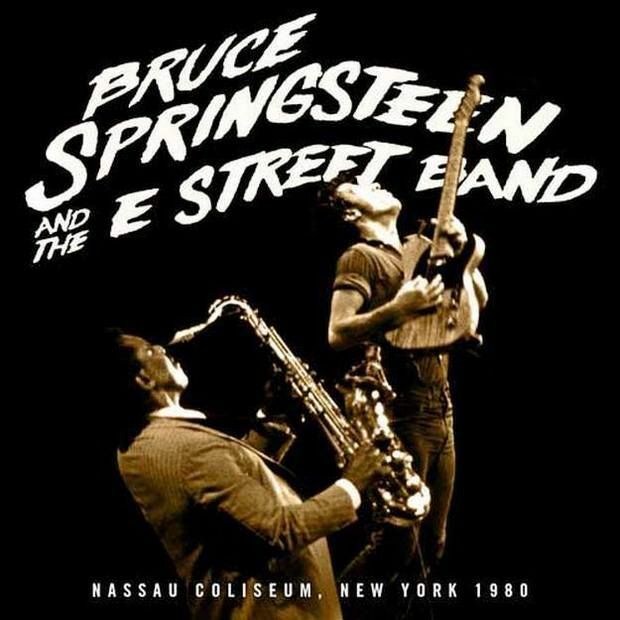 As great at the Nassau show is, I always considered it the little brother to the great 1978 Darkness shows such as Passaic, Winterland, Agora, the Roxy, and Atlanta (all radio broadcasts, well booted, and known to fans as Winterland Night, Passaic Night, Summertime Bruce, and Roxy Night). For many of us, we can hear a moment in one of these and know exactly what show is being played. “Bootleggers, roll your tapes” is from Roxy, and “vomiting in your girl’s purse” was from the Agora show. They are like old friends that never lose our love. I never felt the same way about Nassau Night, the great 12/31/1980 show that many consider one of Springsteen’s greatest performances. It’s an amazing show, 38 songs played in just under 4 hours. While I always thought the Darkness shows were emotionally focused, intense, and tight, Nassau always seemed bigger and less intimate to me. I didn’t have the same emotional connection as I did the ’78 shows. The band had moved to arenas, the thematic pattern of the show had changed, the crowds were bigger, and the shows were longer and just bigger. The performances are outstanding, but my connection to it was not the same. Compared to the concise and focused Darkness shows, the River shows were a marathon collection of highs and lows, emotional mood swings, before finally ending with a frenzied encore set that left the fans and band exhausted. With the release of 12/31/1980 Nassau show as part of his live concert series, I finally admit that this show is close to being an equal to those great 1978 shows. The band is well seasoned and running on all cylinders from start to finish. Yes, it is a sprawl compared to the tightness of the Darkness shows. Running almost 4 hours, Nassau contains most of The River, along with fan favorites from prior tours and a few covers. The performances are outstanding, and the mix of old and new songs gives the listener time to really listen to what is being performed. Only Springsteen would have a “mini-set” in the middle of the show that would be considered a “beer-run/bathroom break” today: playing three slow songs in a row. But, when Fade Away, The Price You Pay, and Wreck On The Highway are played here, the emotional intensity and intimacy with the audience is second to none at the time. Compared to today, 1980 is almost the dark ages with the way information flows. Today, you get home from a show and within hours someone has already posted a recording online. Back then bootlegs were purchased at flea markets and “underground” record stores. Despite this, the crowd warmly receives Rendezvous (never released) and is already singing the first verse to Hungry Heart (prompted by Bruce). I know it was his first “hit” single, but the song was only two months old from the time it was released. I remember being at one of the Landover MD shows the month before and people were singing the first verse already. Bruce himself has said that “the best music is essentially there to provide you something to face the world with”. His music has always been the soundtrack of my life, and shows like Nassau are moments in time that can never be replaced. Springsteen and the E Street Band have been captivating me for over 40 years and I have no intention of ending this relationship with them and the music they present to me. This series of live releases give us the chance to go back, and dust off those cobwebs and remember the way our lives used to be, how much we have changed since then, and how much we are still the same. “At the end of every hard day, people find some reason to believe”. “Stay hard, stay hungry, stay alive”. This entry was posted in Media, Music, Springsteen and tagged Bootlegs, Getting Older, life, music, Springsteen.